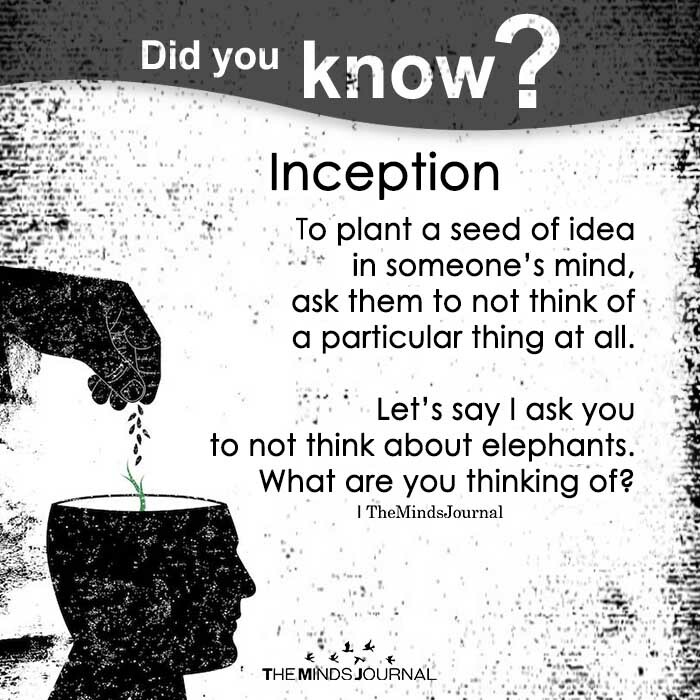 To plant a seed of an idea in someone’s mind, ask them to not think of a particular thing at all. Let’s say I ask you to NOT think about ELEPHANTS. What are you thinking of? I am thinking that this page doesn’t know what it’s talking about. What does it mean if you are able to not think of elephants? For 10yrs all people have done is bring up the past connected to me or not! Blah, Blah, Blah! Slow learners much. I’m thinking about my own life. Palapa’s, pina colada’s, painting, art, love, laughter you know the good stuff in life smh. For whatever reason people are living in reserve here. I can’t handle it or relate to it anymore.